After several years of working on Mars rover prototypes, a team of four engineers decided to launch their own company and their own product. 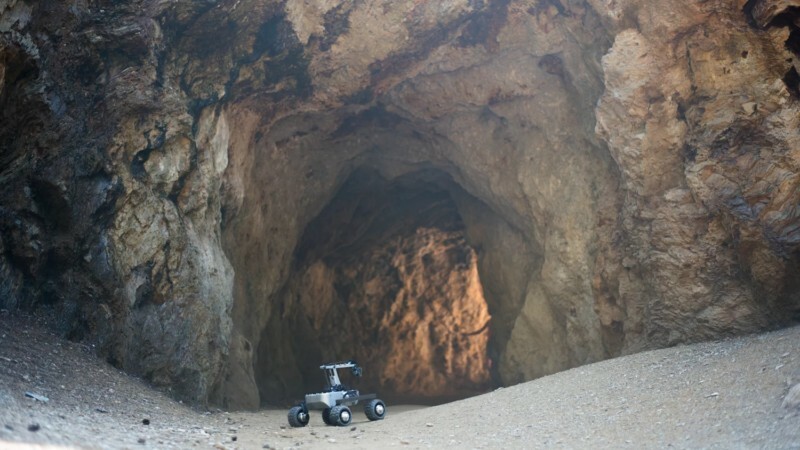 Turtle Rover – as this is how they named their newest baby – is a remotely controlled four-wheeled robot designed for Earth exploration. The rover is designed to drive anywhere you’d prefer not to go alone. Its architecture allows to attach cameras, sensors and your own electronic modules to its body, so you can easily configure it to your own needs. Tweak the inner RaspberryPi with your own code and fit your own electronics inside the rover watertight storage case. As the rover is designed to drive on land, you don’t have to be a rocket scientist to see that it allows for more predictable and longer use than drones. 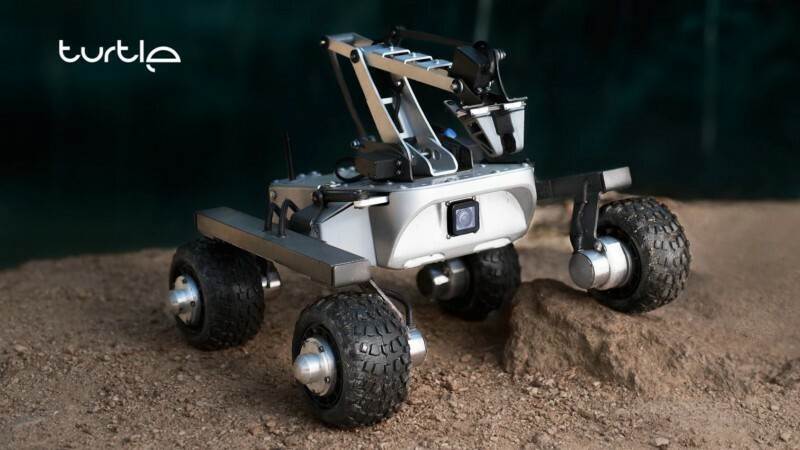 With its on-board camera, Mars-rover suspension and enough power to keep your phone on for a month, it’s you who will be exhausted first, not the rover. Attach it to your backpack and go to the mountains to explore caves in places no one explored yet. Find old ruins and inspect them with no worry of being stuck in tight passages. Go home and have fun with an open-source code in the soul of the robot to find out how to extend its functionality to the borders. Turtle Rover is available on Kickstarter since 22 August 2017. The special Kickstarter edition will be available with extra robotic arm attached starting at a price $1597. Dieser Eintrag wurde veröffentlicht in Crowdfunding, English, General und verschlagwortet mit Kickstarter, Robot, Turtle Rover, Turtlerover von Sebastian Trella. Permanenter Link zum Eintrag.